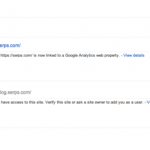 Google launched a disavow links tool. Webmasters who want to tell Google which links they don’t want counted can now do so by uploading a list of links in Google Webmaster Tools. If you haven’t received an “unnatural link” alert from Google, you don’t really need to use this tool. And even if you have received notification, Google are quick to point out that you may wish to pursue other avenues, such as approaching the site owner, first. Webmasters have met with mixed success following this approach, of course. It’s difficult to imagine many webmasters going to that trouble and expense when they can now upload a txt file to Google. The disavow tool is a loaded gun. If you get the format wrong by mistake, you may end up taking out valuable links for long periods of time. Google advise that if this happens, you can still get your links back, but not immediately. Could the use of the tool be seen as an admission of guilt? Matt gives examples of “bad” webmaster behavior, which comes across a bit like “webmasters confessing their sins!”. Is this the equivalent of putting up your hand and saying “yep, I bought links that even I think are dodgy!”? May as well paint a target on your back. Some webmasters have been victims of negative SEO. Some webmasters have had scrapers and autogen sites that steal their content, and then link back. There are legitimate reasons to disavow links. Hopefully, Google makes an effort to make such a distinction. One wonders why Google simply don’t discount the links they already deem to be “bad”? Why the need for the webmaster to jump through hoops? The webmaster is still left to guess which links are “bad”, of course. Not only is it difficult working out the links that may be a problem, it can be difficult getting a view of the entire link graph. There are various third party tools, including Google’s own Webmaster Central, but they aren’t exhaustive. That donation where you helped a good cause & were later mortified that “online casino” and “discount cheap viagra” followed your course for purely altruistic reasons. That clever comment on a well-linked PR7 page that is looking to cure erectile dysfunction 20 different ways in the comments. Links from sites that were fine, but a number of other webmasters disavowed, turning a site that originally passed the sniff test into one that earns a second review revealing a sour stench. This could all get rather painful if webmasters start taking out links they perceive to be a problem, but aren’t. I imagine a few feet will get blasted off in the process. Webmasters have been demanding such a tool since the un-natural notifications started appearing. There is no question that removing established links can be as hard, if not harder, than getting the links in the first place. Generally speaking, the cheaper the link was to get the higher the cost of removal (relative to the original purchase price). If you are renting text link ads for $ 50 a month you can get them removed simply by not paying. But if you did a bulk submission to 5,000 high PR SEO friendly directories…best of luck with that! It is time consuming. Firstly, there’s the overhead in working out which links to remove, as Google doesn’t specify them. Once a webmaster has made a list of the links she thinks might be a problem, she then needs to go through the tedious task of contacting each sites and requesting that a link be taken down. Even with the best will in the world, this is an overhead for the linking site, too. A legitimate site may wish to verify the identity of the person requesting the delink, as the delink request could come from a malicious competitor. Once identity has been established, the site owner must go to the trouble of making the change on their site. Webmasters now face the prisoner’s dilemma and are doing Google’s job for them. It’s hard to imagine this data not finding it’s way to the manual reviewers. If there are multiple instances of webmasters reporting paid links from a certain site, then Google have more than enough justification to take it out. This would be a cunning way around the “how do we know if a link is paid?” problem. 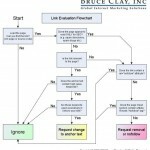 Webmasters will likely incorporate bad link checking into their daily activities. Monitoring inbound links wasn’t something you had to watch in the past, as links were good, and those that weren’t, didn’t matter, as they didn’t affect ranking anyway. Now, webmasters may feel compelled to avoid an unnatural links warning by meticulously monitoring their inbound links and reporting anything that looks odd. Google haven’t been clear on whether they would take such action as a result – Matt suggests they just reclassify the link & see it as a strong suggestion to treat it like the link has a nofollow attribute – but no doubt there will be clarification as the tool beds in. Google has long used a tiered index structure & enough complaints might lower the tier of a page or site, cause it’s ability to pass trust to be blocked, or cause the site to be directly penalized. we recommend that you contact the sites that link to you and try to get links taken off the public web first. You’re also helping to protect your site’s image, since people will no longer find spammy links and jump to conclusions about your website or business. Left unsaid in the above is most people don’t have access to aggregate link data while they surf the web, most modern systems of justice are based on the presumption of innocence rather than guilt, and most rational people don’t presume that a site that is linked to is somehow shady simply for being linked to. If the KKK links to Matt’s blog tomorrow that doesn’t imply anything about Matt. And when Google gets featured in an InfoWars article it doesn’t mean that Google desires that link or coverage. Many sketchy sites link to Adobe (for their flash player) or sites like Disney & Google for people who are not old enough to view them or such. Those links do not indicate anything negative about the sites being linked into. 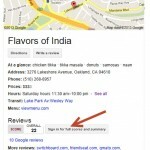 However, as stated above, search is Google’s monopoly to do with as they please. On the positive side, if Google really do want sites to conform to certain patterns, and will reward them for doing so by letting them out of jail, then this is yet another way to clean up the SERPs. They get the webmaster on side and that webmaster doing link classification work for them for free. For a decade search was driven largely by meritocracy. What you did was far more important than who you were. It was much less corrupt than the physical world. But as Google chases brand ad Dollars, that view of the search landscape is no longer relevant. Large companies can likely safely ignore much of the fear-first approach to search regulation. And when things blow up they can cast off blame on a rogue anonymous contractor of sorts. Whereas smaller webmasters walk on egg shells. When the government wanted to regulate copyright issues Google claimed it would be too expensive and kill innovation at small start ups. Google then drafted their own copyright policy from which they themselves are exempt. And now small businesses not only need to bear that cost but also need to police their link profiles, even as competitors can use Fivver, ScrapeBox, splog link networks & various other sources to drip a constant stream of low cost sludge in their direction. Now more than ever, status is important. Intentionally build spam links to yourself & then disavow them (in order to make your profile look larger than it is & to ensure that competitor who follows everything you do – but lacks access to your disavow data – walks into a penalty). Find sites that link to competitors and leave loads of comments for the competitor on them, hoping that the competitor blocks the domain as a whole. Find sites that link to competitors & buy links from them into a variety of other websites & then disavow from multiple accounts. Get a competitor some link warnings & watch them push to get some of their own clean “unauthorized” links removed. The webmaster who parts on poor terms burning the bridge behind them, or leaving a backdoor so that they may do so at anytime. If a malicious webmaster wanted to get a target site in the bad books, they could post obvious comment spam – pointing at their site, and other sites. If this activity doesn’t result in an unnatural linking notification, then all good. 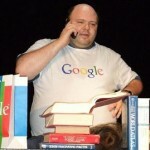 It’s a test of how Google values that domain. If it does result in an unnatural link notification, the webmaster could then disavow links from that site. Other webmasters will likely do the same. Result: the target site may get taken out. To avoid this sort of hit, pay close attention to your comment moderation. Please add your own to the comments! 🙂 Gotchas, that is, not rogue links. Further opinions @ searchengineland and seoroundtable.